Hi everyone! I’m happy to introduce you to our little friend, Bow on Top. 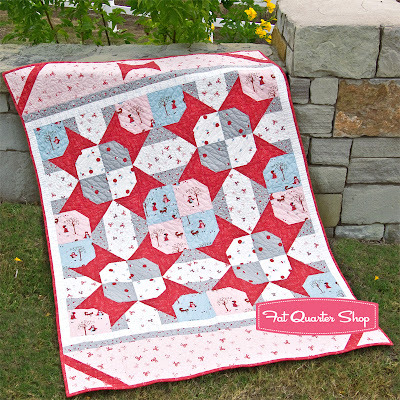 Bow on Top is an interesting little quilt! I wanted to design a girl’s quilt that was kind of cute and pretty funky. I think Bow on Top really accomplishes that aim! These big red spool blocks, combined with chunky squares and strips, create a neat star effect. The borders are unusual and novelty, like a big present wrapped in ribbon and tied with… you got it, a bow! 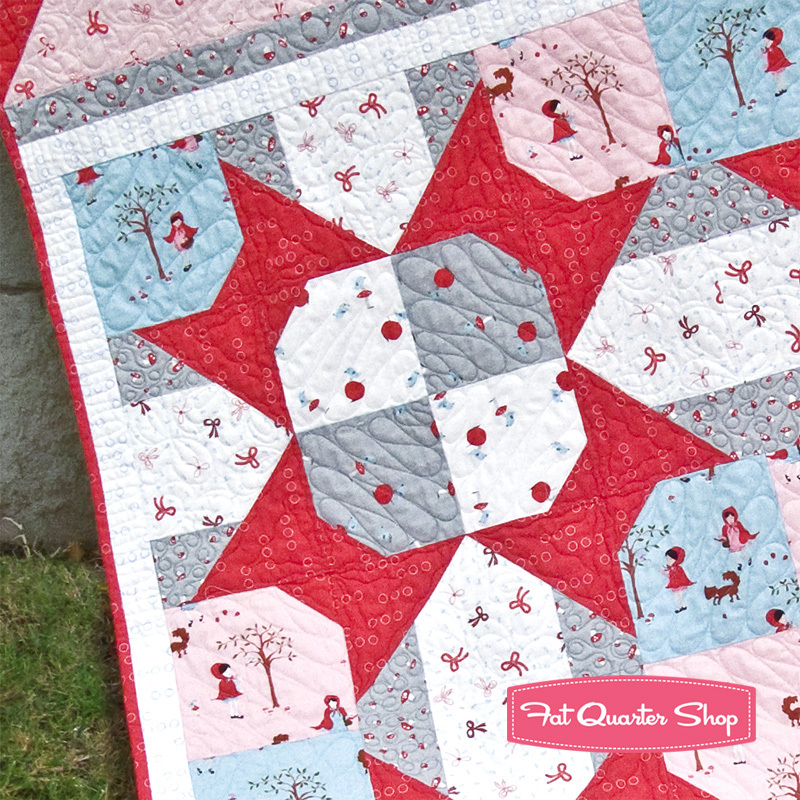 Aneela Hoey’s A Walk in the Woods fabric was perfect for this design. You can enjoy her sweet illustrations in this beauty, and the colors are perfecto. 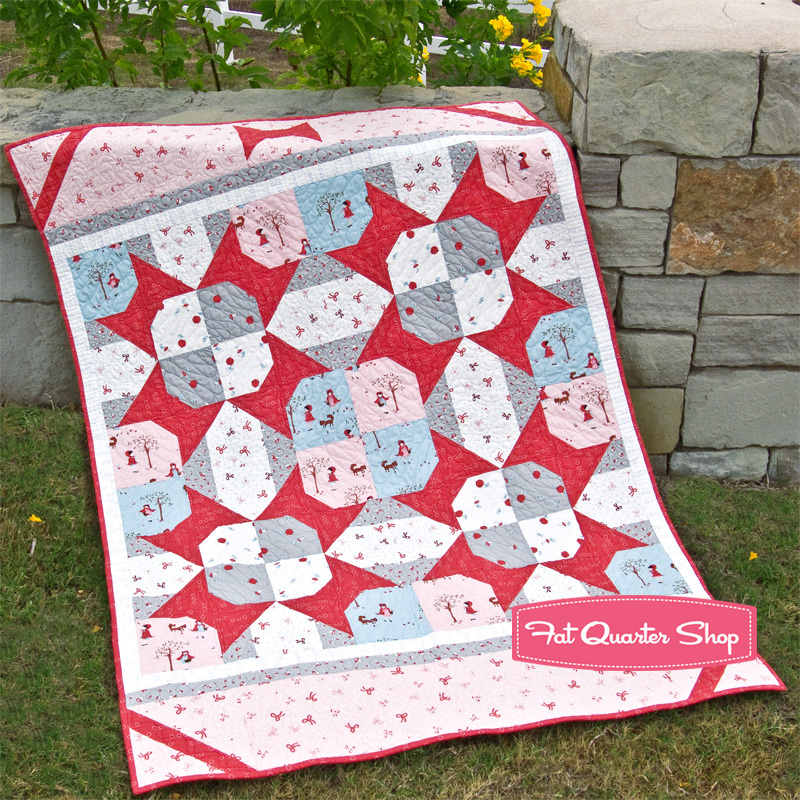 The bright red is especially what this quilt needed to come alive. And those sweet little bowties? Well, come on. There’s no better combination! I hope you enjoy Bow on Top! It’s as sweet and unique as the little girls in your life.